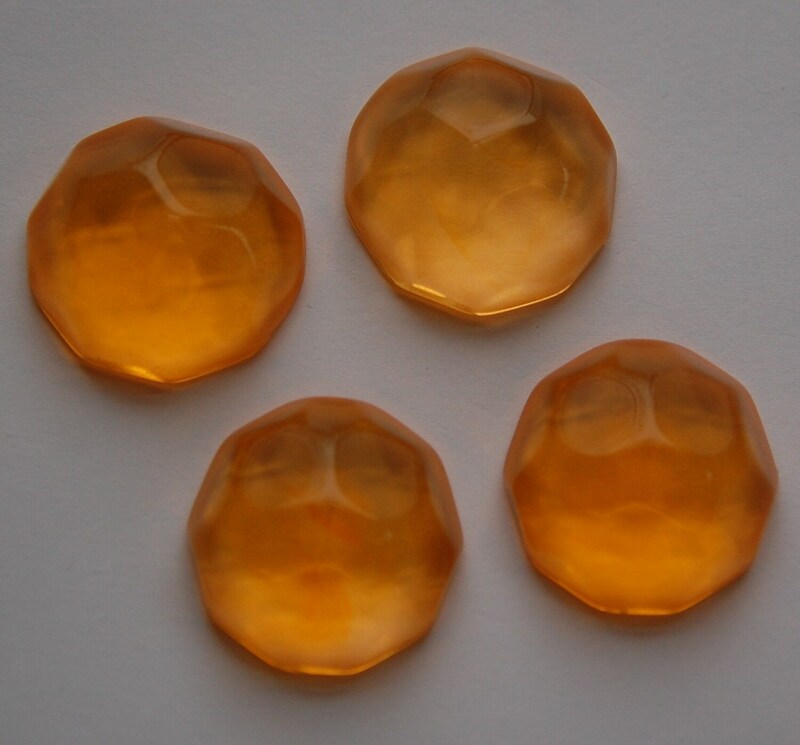 These are vintage plastic cabochons that were made in Germany. They are domed. 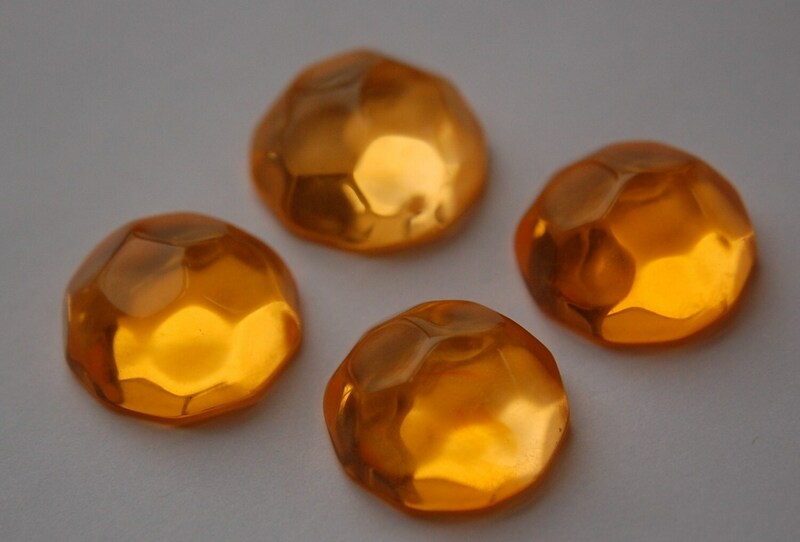 These faceted in gentle smooth facets. These measure 24mm X 9mm high. You will receive 4 of these. Extremely well packaged and fast shipping. Great merchandise. I highly recommend this shop & this seller! Thanks so much...love it all!